Freddie’s Restaurant and Pizzeria in Long Branch, New Jersey has a serious Five Nights at Freddy’s problem. 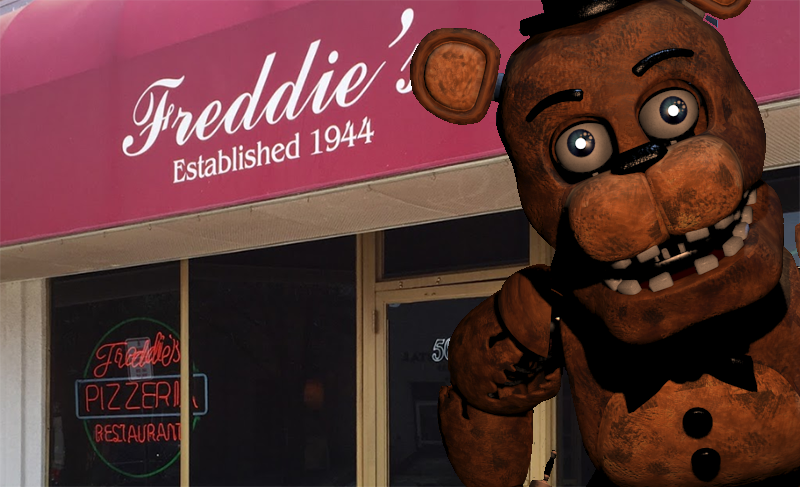 Freddie’s is a family owned and operated Italian restaurant, opened in Long Branch by Fred Scialla, who is almost certainly no relation to the animatronic bear that stars in Scott Cawthon’s series of jump-scare heavy horror games. Unfortunately, according to a report over at the Asbury Park Press, the game’s younger fans can’t stop calling the place to see if there’s a connection. For the past year, though, the restaurant has taken on an eerie feel. The phone starts ringing when school gets out, picking up the pace in time zone after time zone. On the other end, last Tuesday afternoon were children from non-Jersey Shore area codes such as 929, 276 and, multiple times, 218. They weren’t placing orders. The kids were calling to ask if Freddie’s was Freddy Fazbear’s pizza place (it’s not), wondering if they have any animatronic animals there (they do not) and basically just keeping regular customers from getting through to make orders. According to one waitress, the restaurant can get upwards of 200 calls an hour. Freddie’s manager Oscar Hernandez wound up installing additional phone lines to handle the call volume, which would be great if everyone was ordering take-out instead of looking for clues behind the various mysteries laid out in a video game series. So the restaurant has added telephone lines to accommodate the calls. Employees answer the phone with a brief “Hello,” instead of a traditional “Freddie’s, pick-up or delivery?” And they look at caller ID, trying to weed out area codes beyond the Shore’s 732 or 908 while trying to be careful not to skip over a customer who might be from out of town. It’s happening to other pizza places as well, including Fast Freddie’s Pizza and Pasta in Roseville, California, though it has a creepy-looking character on its sign, which is pretty much asking for it. Thankfully there are helpful articles like the one from the Asbury Park Press and this one, which will surely dissuade children from picking up the phone to call pizza restaurants in other states and definitely won’t draw even more attention to them.